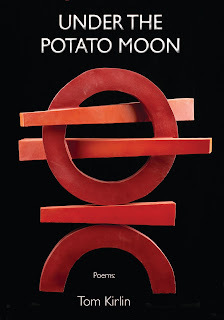 We’ve just scheduled a poetry reading at 3:00 p.m. on April 27 with Tom Kirlin, whose Under The Potato Moon was published by Little Red Tree Publishing with support from The William Meredith Foundation. The book continues a Little Red Tree tradition of combining poetry and visual art, in this case reproductions of artwork by Nancy Frankel, who will also be in attendance. The reading will be held here at The Writer's Center, 4508 Walsh Street, in downtown Bethesda. It's free and open to the public, and will be followed by a reception and book signing. 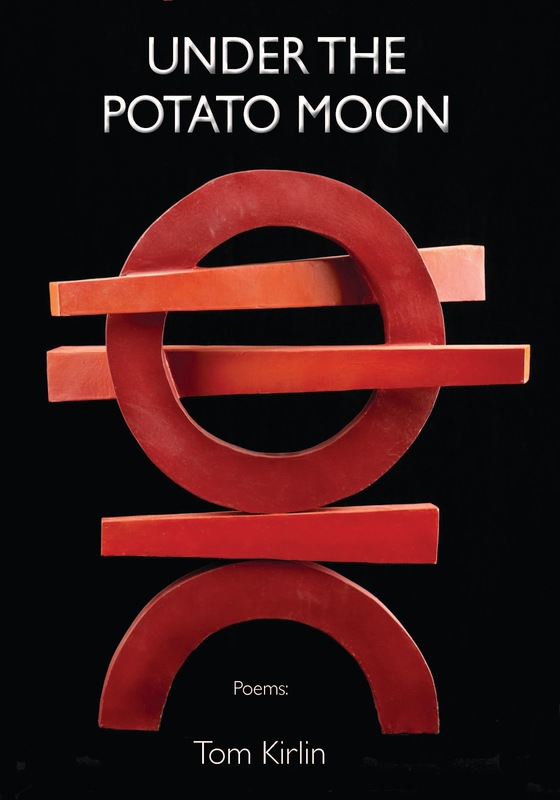 In Thomas Kirlin’s passionate, soberly rollicking Under the Potato Moon a weathervane “turned preacher” prays for the “Archangel rain” to nurture our world “with such crippled grace” that “Van Gogh himself would lurch afield to paint his breath away.” There is such exuberance of imagination and such abundance of transformation that his poems are apt to leave a reader breathless and gasping in surprise. Kirlin is like a capacious, melodic barker calling us to the carnival of an intensely vivid and deeply humane circus of life. the “torn heart” but also to mull over the meaning of Christmas and Salvation Army Santas. Kirlin is drawn to allusion not because he feels it’s necessary to display his erudition but to show how his own work is part of the woven fabric of literary conversation and tradition. Finally, among the many reasons we read poems, one of them is to see how a particular person takes him or herself. In other words, the presentation of a life measured against a particular time and place, foregrounded in the personal but always with the social, political, and cultural coloring in the background. Thomas Kirlin’s poems amply answer this need and as such they offer a vivid record of what it’s like to be alive straddling two centuries. After researching writer’s retreats a few years ago, workshop leader Zahara Heckscher came to an inspired conclusion: there should be an affordable writing retreat in the D.C. area for busy people who can’t afford the time or cost of leaving their family and responsibilities. Thus was born Writing Staycation, The Writer’s Center’s week-long retreat for writers who need to get away and write. Bringing in paintings, flowers, healthy foods, and in part guided by Julia Cameron’s The Artist’s Way, Heckscher leads participants through five consecutive days of structured writing. “We start on time and end on time,” she says. “Within the structure comes the freedom.” But it’s the space, and nurturing energy of that space, she likes to emphasize, that matters most. The day starts with a reading, Heckscher explains, often from such names as Pablo Neruda or Thich Nhat Hanh. There may also be a writing prompt, however both take as little as 30 minutes. Then, it’s time to write. Lunch involves guest speakers, like writer Danuta Hinc or acclaimed poet E. Ethelbert Miller, all of whom are open to one-on-one sessions afterwards. Lunch is followed by more time to write. Another break if offered later in the day, such as an outdoor walk. “It’s good for the body to take a break from writing and gets creative juices going,” Heckscher says. The day typically closes with a brief check-in to help participants become more self-aware of their process, such as identifying at what point they felt most productive during that day. Outside the daily structure, participants also have the option to work on technique or talk nuts-and-bolts of writing with Heckscher or one of the lunch speakers. They also have the option of retreating to their own private space. “Some need to be in a room alone,” says Heckscher. Either way, Heckscher makes a conscious decision to stay away from workshopping students’ material, emphasizing that the purpose of the class is to focus on writing. “Critiquing is another class,” she says. Heckscher is co-author of the book How to Live Your Dream of Volunteering Overseas. She has also written numerous articles that have appeared in books and the online travel magazine www.TransitionsAbroad.com, where she serves as contributing editor. Heckscher teaches professional writing at University of Maryland at College Park. The next Writing Staycation is set for 10 a.m. to 5 p.m. April 22 – 26 in Bethesda. Check our website for more information. Visit The Writer’s Center’s youtube channel (http://www.youtube.com/user/TheWritersCenter) for a video of Zahara discussing Writing Staycation. Two Writing Staycations are now posted on our Website. To join a workshop give us a call or click the start date to register online. Writing Stacation starting: April 22 or June 24. .
We’ve been very fortunate to receive grants from the National Endowment for the Arts over the last few years to offer support for writing workshops for veterans, active duty service members, and their family members. Through these workshops we’ve come to know and appreciate the good work of the Veterans Writing Project. In addition to writing workshops, VWP produces a literary journal, O-Dark-Thirty, which has just published its second issue. We’d like to thank Dario DiBattista for this blog posting to First Person Plural. The Veterans Writing Project, for which I’m an instructor, provides free writing workshops to veterans, service members, and their families at places like the George Washington University, and also provides instructors through the National Endowment for the Arts for writing workshops at Walter Reed National Military Medical Center at Bethesda because we believe that every veteran has a story tell, those stories are important, and they can serve to heal. The Writer’s Center supports us in partnership through teaching and through helping sharing veterans’ stories with our online and print literary journal O-Dark Thirty. Our newest issue, our second issue, had an ominously recurring theme: our “ghost issue.” And the artwork on the cover, a piece called “Cody” by Army veteran Joe Olney, sets the tone appropriately. A wonderfully reflective essay by John Purdue (letters of his to our editor) continues the theme in the nonfiction section. Purdue served stateside during Vietnam, sometimes dealing with burn victims, more often dealing with the mental tragedies of war in a special unit for some of the broken men who returned from combat. His goal was to help provide them a better facility than the one in “One Flew Over the Cuckoo’s Nest” and help them “not blow the back of their heads off.” None died under his care. But two were successful at suicide while on leave. The emotion and struggle of Purdue of coping with those experiences, among others, perhaps lead him to hold a gun later in the narrative, considering his own suicide. Next, the theme is also explored in the fiction section in Rod Merkley’s “Walk Until You Sleep.” The former Army medic author envisions a protagonist who has struggled too long with his demons from war and decides that killing himself is the only solution. But he doesn’t want to make it seem like suicide, because he thinks that truth will damage his memory to his son who will survive him. He considers a planned motorcycle wreck or “death by police” but ultimately just plans to go on a long walk, which takes an unexpected turn. There are other excellently crafted works loosely related to the theme (and don’t forget to check out our profile of William Zinsser, who is a veteran of WWII). We thank the Writer’s Center for their support of what we’re doing, and hope you’ll check out 0-Dark Thirty and consider subscribing. This Sunday at The Writer’s Center, former poet laureate of Brooklyn D. Nurkse and local poet Teri Ellen Cross will read in celebration of the 124th birthday of Poet Lore, the semi-annual poetry journal published by The Writer’s Center. 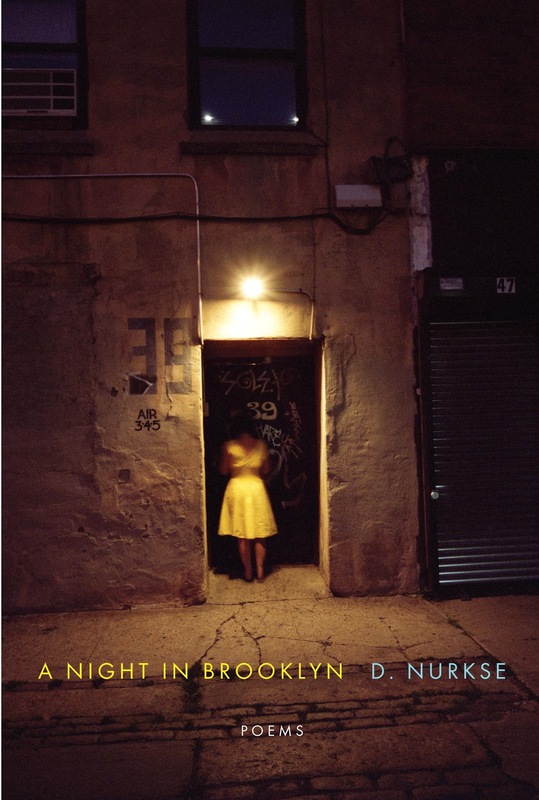 Widely recognized as a distinctive voice in contemporary poetry, D. Nurkse will read from his newest collection, A Night in Brooklyn (Knopf, 2012), which will be available for purchase and signing at the event. D. Nurkse’s previously published books have moved through such diverse terrains as the fragility of a second-generation son’s exchange with his immigrant father, the biblical past and the complexities of its legacy, and the mysterious systems of ocean life. ﻿﻿﻿﻿The gravity of Nurkse’s poetry may relate in part to his human rights work and familial history. His work has taken him, as an educator, into prisons such as Rikers Island Correctional Facility; as Brooklyn’s poet laureate, into inner city schools; and, now, as an elected member of Amnesty International’s board of directors, into a position of governance over the organization’s wide-reaching humanitarian activity. 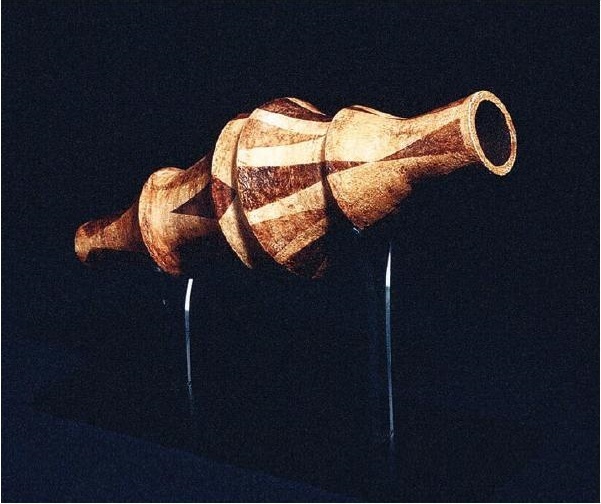 Refugees from Nazi Europe, Nurkse’s parents moved to New York during World War II. His family moved back to live in Europe and then returned again to the United States at the time of the Vietnam War. In the same interview with Farrington, he speaks of his experience of war “like a radio playing in another room.” Likewise, in some poems, troubling realities impinge on the intimate dynamics of its subjects from afar. They remain out of sight and elude finality. D. Nurkse’s powerful work has found a happy home in Poet Lore. The same is true of the work of his co-reader Teri Ellen Cross, whose poems have been widely published. 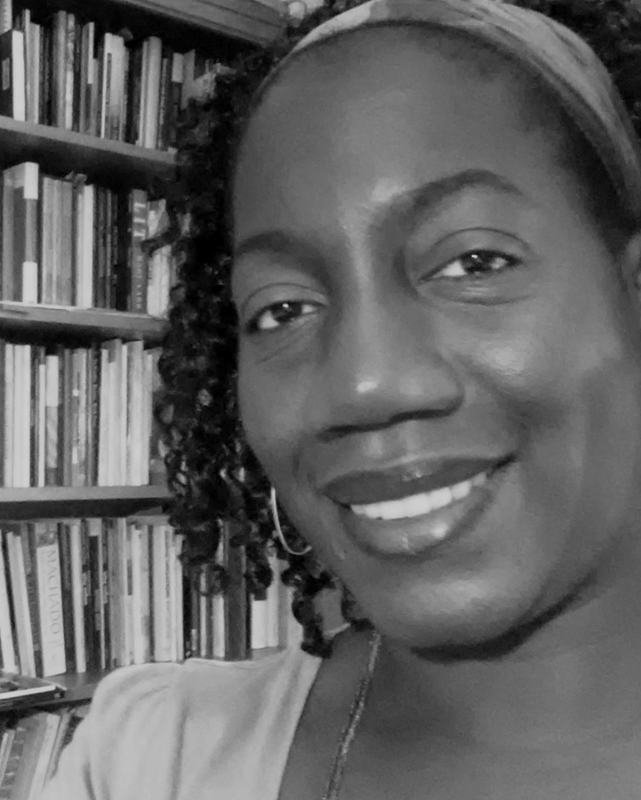 A Ford Foundation and Cave Canem fellow, Teri Ellen Cross serves as the Poetry and Lectures Coordinator at the Folger Shakespeare Library and was formerly a producer with WAMU’s The Kojo Nnamdi Show. This event also marks the release of Poet Lore’s newest issue, our Spring/Summer 2013 volume. Both Poet Lore’s editors—Jody Bolz and Ethelbert Miller—will be present, and a cake-and-champagne reception and D. Nurkse’s book signing will follow the readings. Please join us there! We look forward to sharing poetry, cake, and champagne at this free and public occasion in honor of Poet Lore’s longevity. Poet Lore’s 124th Birthday Reading, Sunday, April 7, 2:00 PM, will be held in the Jane Fox Reading Room of The Writer’s Center. Visit this link for directions to The Writer's Center. Or phone in at (301) 654-8664 for more information.